Most architects don’t find themselves embroiled in the Israel’s conflict with the Muslim world; Frank Gehry, of course, isn’t most architects. 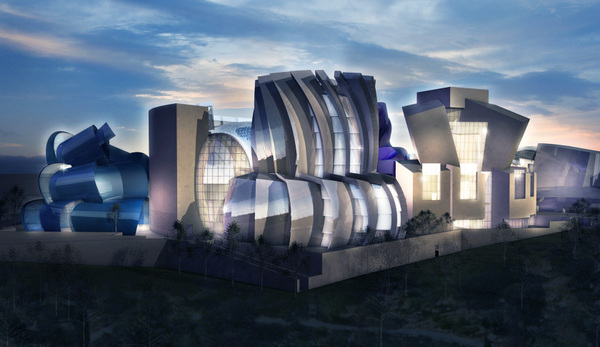 The avatar of architectural self-expression has announced that he’s dropping out of a commission the Museum of Tolerance, and Jewish/Muslim politics appear to have played a major role in the decision. 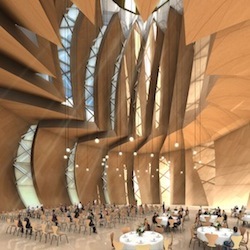 Gehry’s design itself came under particular fire. Yoffie, president of the Union for Reform Judaism. From an architecture standpoint, it’s interesting how much attitudes have changed towards big, splashy buildings of the sort Gehry is known for. When first announced in 2004, the project heralded as a beacon of hope for the region. But after the cemetery was uncovered, the limits of icon architecture became impossible to ignore. Perhaps things would have been different, if the museum itself more visibly embodied tolerance–rather than Gehry’s own aesthetic. Perhaps it would have been better as a museum of air-filter design?